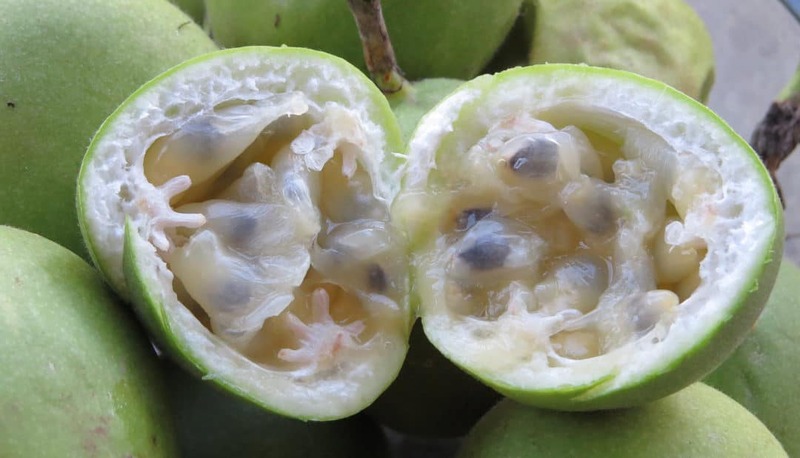 1) Hardy Passionfruit.https://peacefulheritage.com/passionfruit.html These native Southeastern USA vines are hardy to about zone 5. 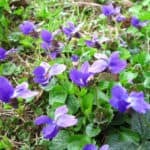 They make beautiful, exotic looking blooms and the egg-shaped green fruits ripen in autumn, around late September-frost. 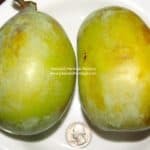 They fall off the vine when ripe and have a tangy banana/pineapple flavor. Ours are better quality than most others. In the Deep South zones 8-12 they produce a robust vine that is perennial. In colder zones they die back to the ground but resprout for many years. 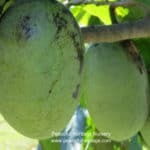 2) Pawpaw https://peacefulheritage.com/pawpaws.html Becoming well known, our page on them says what you need to know! 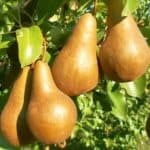 Easy to grow, luscious, amazing fruits in abundance. Little problems with disease and insects when grown well. 3) Mulberry. 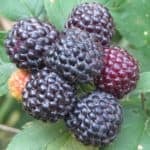 https://peacefulheritage.com/mulberry.html Very underrated, the better mulberries are nearly as good as blackberries and produce huge yields. The trees require zero care or maintenance. White cultivars are non-staining and the ones we sell are quite tasty, too! 4) Che. 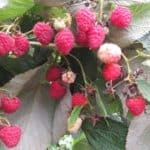 https://peacefulheritage.com/chefruit.html Easy to grow, related to mulberry. Ours stay in a nice shrub / bush form. The late-ripening berries are chewy and taste like fig/watermelon. No issues. 5) Persimmons. https://peacefulheritage.com/persimmons.html Easy to grow, fast growing, very hardy and resilient. 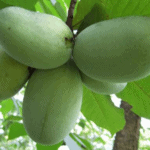 Super sweet fruit, great for processing into sweet breads, jams, wine, fruit leather. Very healthful fruit, good for eye health and digestion. 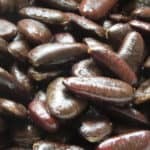 Very few problems with insects or disease. 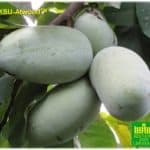 Asian ones make the biggest fruits but are only cold hardy in zone 7 +. 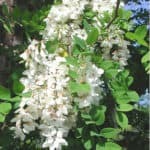 6) Hardy Kiwi https://peacefulheritage.com/kiwi.html These Asian vines need a stout support, a male pollinator and annual pruning but beyond that are easy and fun to grow. The small, fuzzless kiwi berries are just delicious and great to eat. They do very well in the lower New England areas. 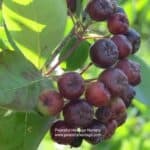 7)Aronia Berry https://peacefulheritage.com/aronia.html A processing fruit more than a raw delight, this superfood berry is loaded with antioxidants. People are processing them into juices, jams and supplements these days. 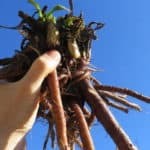 Easy to grow! 8) Gooseberry. 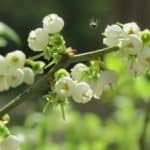 https://peacefulheritage.com/gooseberry.html While some people know of this once-common fruit, many do not. It’s a small bushy plant, sometimes thorny, that makes a very nice marble-shaped berry that looks like a little watermelon when green. They can ripen to pink, red, green and yellow. 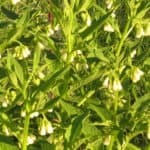 They are tangy and slightly sweet, with a very nice flavor, and they ripen very early around June. Nothing seems to bother them and they are productive, hardy and resilient! Well worth growing. 9) Jujube. We plan on offering these soon. 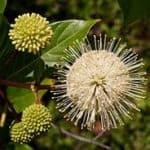 They are an interesting Asian tree that has been grown in the US for about 100 years, yet most Americans have never heard of them. Pronounced Jue-Jue-Bee. 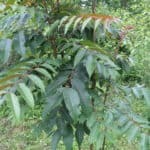 This tree is hardy to zone 6, maybe 5b. 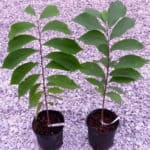 They are lovely, smallish trees that are resilient and hardy with little to no disease and insect pressure. 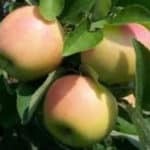 The very healthful tonic fruit is crisp and similar to a little apple, with a mild date-like flavor and a pit-like pit. Great dehydrated. We love these trees! 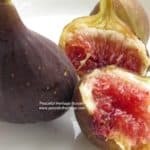 10) Figs. https://peacefulheritage.com/figs.html While common in the South, many do not know that cold-hardy figs grow in KY all the way up to New York State. 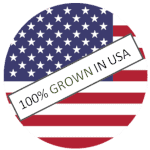 Chicago Hardy is the most reliable and productive in the colder zones, and makes a very high-quality, delicious purple fig. 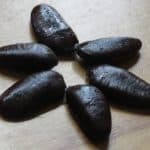 These do great on a South-facing, warm, very sunny wall and benefit from some basic winter protection, explained on the fig page. No pests or disease bother figs in KY, except ants and sometimes bees take to the ripe fruit because it’s SO sugary sweet. 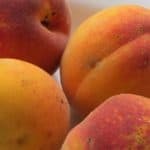 Amazing healthy fruit!